Barbara The ´ Steen-Tree. Photo: Disclosure. Technique known by their delicate designs, the patchwork-in Portuguese, "works with flaps"- is gaining bold contours. With new languages, won art status. 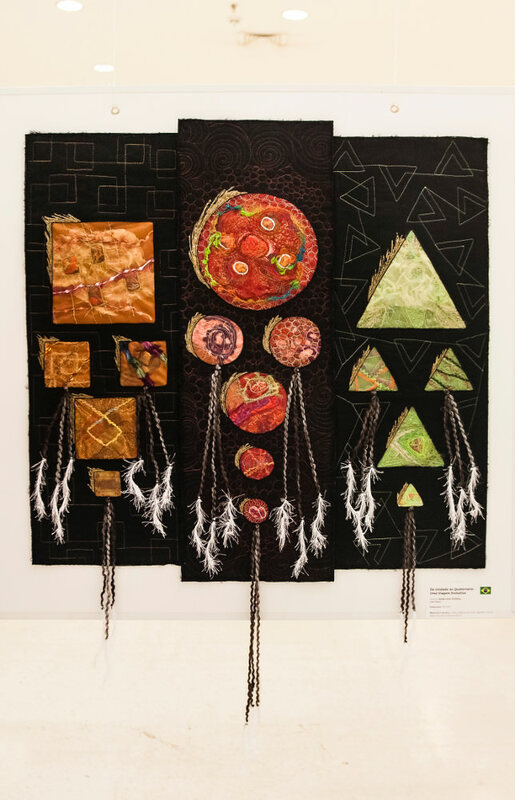 The entire result of the creativity of artists that today engage in technique can be seen in Contemporary-international exhibition of Textile Art. The event will take place from 27 to 29 April in Club Monte Lìbano, to Lagoa, in Rio de Janeiro. The “Contemporâneo-international exhibition of Textile Art” will present 70 works of 56 artists (46 foreign artists and 10 Brazilian artists). Among the foreigners, highlighting the work of the American artist Barbara O'Steen that will be present on the show getting the audience and talking about two works his participating in the shows and narrate the concern with the preservation of the environment, such as “Trees "-3D Panel that reproduces in the trunk of a tree. Brazilians already participate in putting together a single series with all the same size. In the exhibition the attendants can check out modern patchwork pieces. "The jobs are almost all abstract and presented in exhibitions art galleries and museums from different countries. Are contemporary works. People don't believe what they're seeing is woven. The technique gives freedom to the artist playing the will, mixing not only colors, but textures ", Zeca Medeiros account, Curator of the exhibition. The patch just arrived in Brazil in the 60, When it was discovered by fashion designers and decorators. In the 90 the technique gained momentum and today the patchwork is increasingly recognized as a work of art. The event also features the 17th. Edition of Patchwork Design, services and products fair which offers from raw materials to finished products in 70 booths of exhibitors of textile industry, as machines, books, journals, fabrics and decoration products, bed, table, bath, clothing and accessories, all using traditional patchwork technique. Anderson Delfino-Quaternary-the unit a evolutionary journey 2017. Photo: Sandra Pagano. While in the 16th, 17th and 18th century women scrambled to make beautiful quilts and cozy, in the Victorian era (the 19th century) the creation of the patchwork with "Crazy" became a fashionable hobby that took the idea of making works just for show. In the 70, young artists "discovered" the patchwork, mastered the technique and quickly began to try them in contemporary styles. Art galleries refused to exhibit quilts (patchwork) Why not patchwork art was seen as worthy of consideration and patchwork shows refused to accept artwork why don't you limit the traditional styles and techniques. 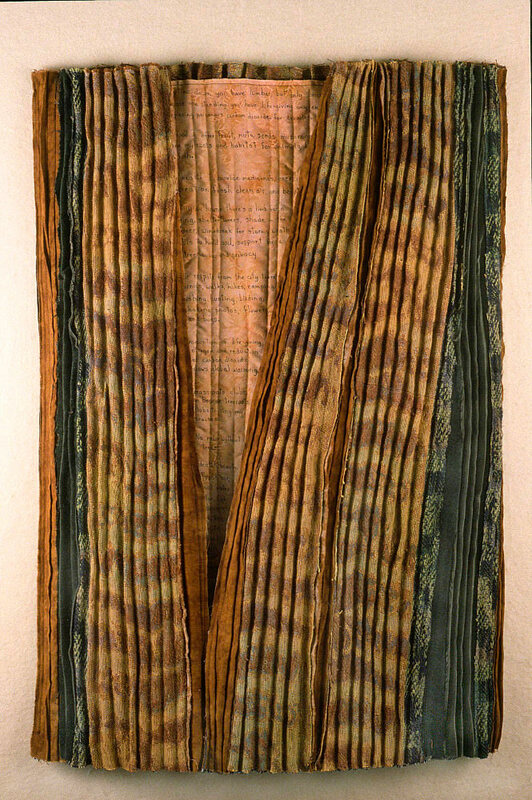 The first exhibition of artistic patchwork was held in the late 70 in the United States. The contemporary patchwork reaches your height in the 21st century. Currently, museums and art galleries, attract large crowds for exhibitions such as "Quilt National" in the USA or the "Quilt Nihon" in Japan. In Brazil the "Contemporary” leading this movement and features various styles of textile art from emerging and established artists from various countries. The technique won the world and nowadays moves billions of dollars in several countries, including the Brazil. In the last 15 years the number of consumers of the patchwork has increased so much that led to the emergence of a national industry to meet exclusively this market. Weaving mills produce fabrics with prints fit for the job, publishers publish books and magazines about the technique, sewing machine industries create new technologies to meet the craftsman, specialty stores and events scattered all over Brazil, supply thousands of consumers and craftsmen who live or make this a hobby art. · Contemporary-international exhibition of Textile Art with 70 works of 56 Brazilian and foreign artists and curated by Zeca Medeiros. · Patchwork Design 2017 -Products fair of textile area and free workshops, with inscriptions at the site of the event. Club Mount Lebanon-Rua Borges de Medeiros, 701 -Pond.